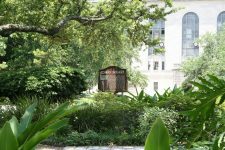 To visit this site, enter Armstrong Park at 801 N Rampart Street and once inside turn left, in front of the Municipal Auditorium. 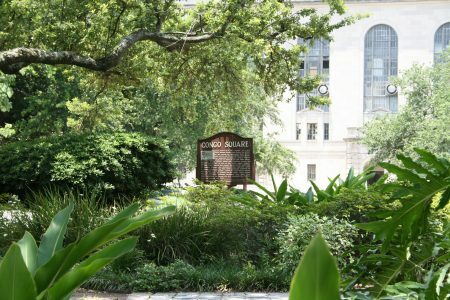 Congo Square is one of the most hallowed sites in American music history. 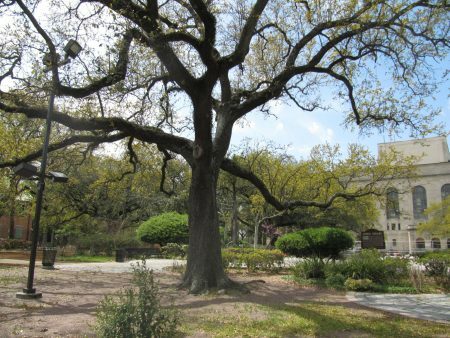 This area, once a grassy commons behind the original city rampart (now Rampart Street), was one of several gathering places for enslaved people from Africa and their descendants. 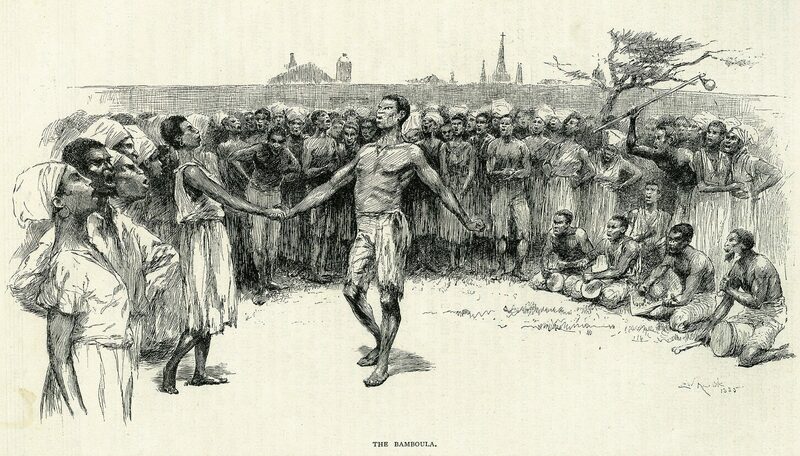 In the 1700s, under French and Spanish colonial rule, slaves were permitted to buy and sell goods on Sundays. 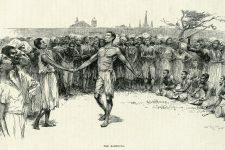 They also played African-style musical instruments and performed dances that originated from their native homes. 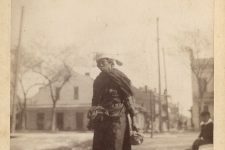 After New Orleans became part of the United States in the early 1800s, a city ordinance limited gatherings of slaves to this spot, and only until sunset. 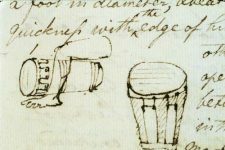 Still, the weekly ritual sustained a continuum of African culture in the New World, with profound implications for the future of music. 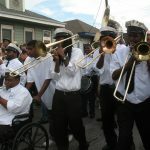 The African and Caribbean cultural expressions that thrived there sowed the seeds of New Orleans’ jazz, second-line, and Mardi Gras Indian traditions. Participants came from different African nations, and played a variety of styles of music. 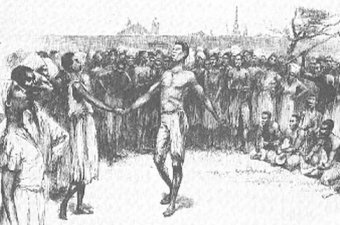 The spectacle of hundreds of people drumming and dancing the Bamboula and the Calinda attracted all kinds of visitors, from domestic workers and free people of color to curious outsiders likely including composer Louis Moreau Gottschalk. 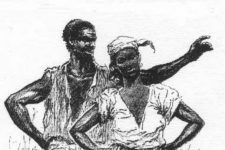 Music and dance here served vital functions: They were a spiritual practice and a form of resistance, which made them a threat to the American racial order. 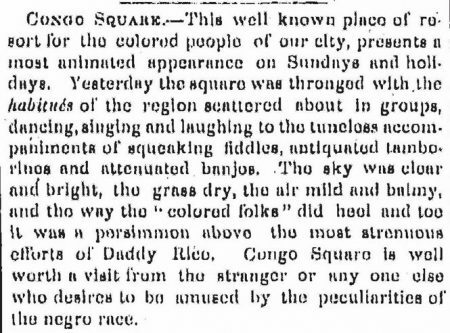 As a result, the gatherings were shut down for good in 1851. 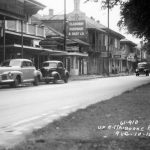 The political morass has done nothing to diminish the significance of the site as a symbol of African contributions to the origins of jazz and American vernacular music. 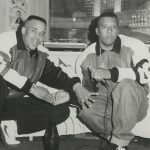 It is no coincidence that drummer Earl Palmer came from this neighborhood and laid down the back beat of what would become rock ’n’ roll in J&M Studio just across Rampart Street. 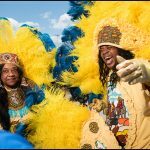 Mardi Gras Indians and social aid and pleasure club members still mask and parade outside its gates today, moving to African-derived rhythms and perpetuating the legacy of music and dance as communally uplifting expressions. 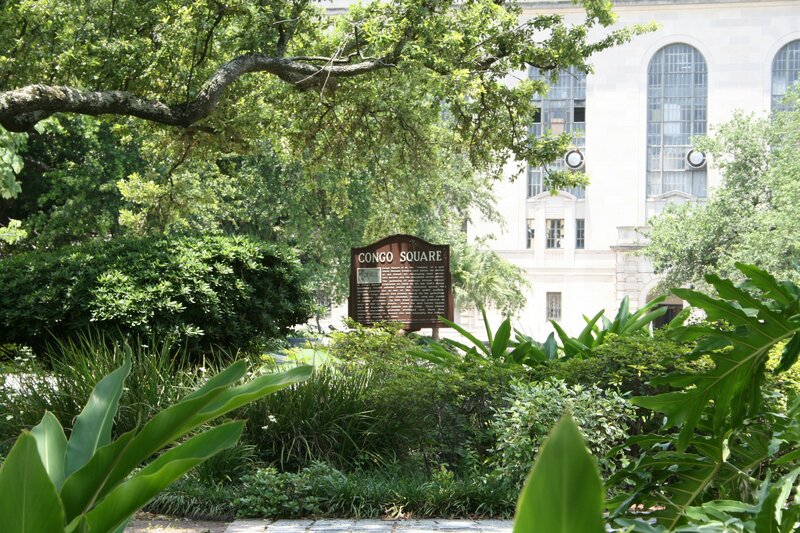 Author Freddi Evans offers an introduction to Congo Square. Video courtesy of Kevin McCaffrey. Congo Square in 2017, facing the Municipal Auditorium. 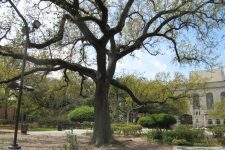 Congo Square, Armstrong Park, New Orleans. Municipal Auditorium in background at right. New Orleans, 1819. 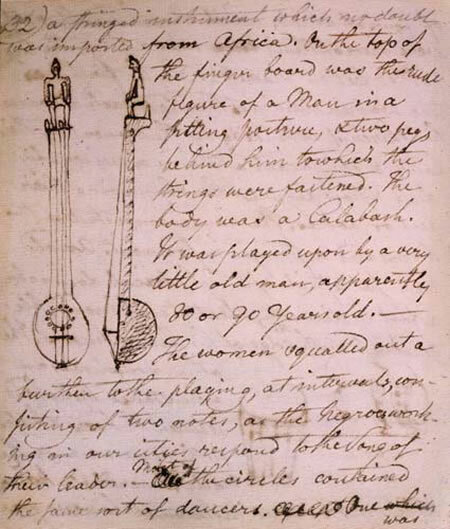 Notebook of Benjamin Henry Latrobe, with illustration of string instrument played at Congo Square. 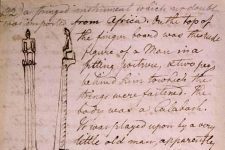 Latrobe says the instrument was brought from Africa, and was being played by an old man of some 80 or 90 years. 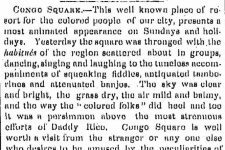 New Orleans, 1819. 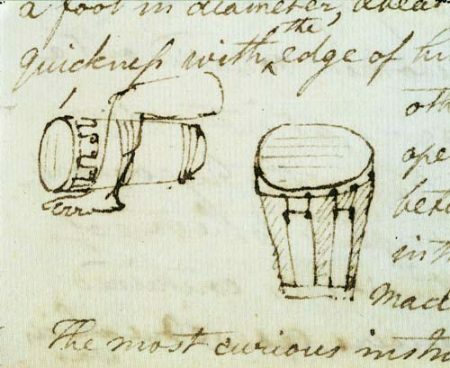 Notebook of Benjamin Henry Latrobe, with illustration of drum played at Congo Square. 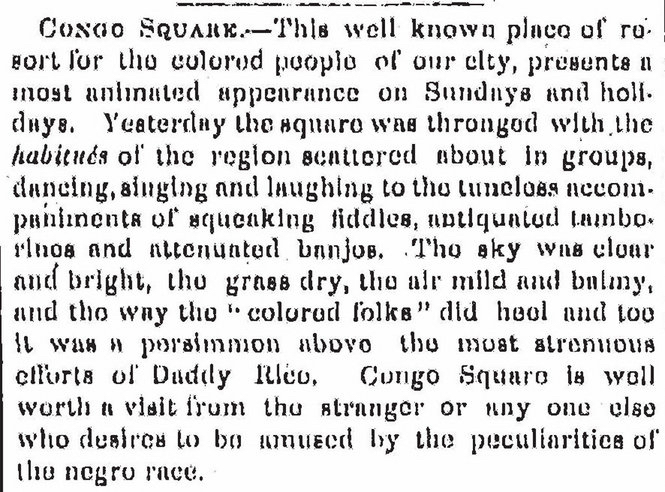 Newspaper description of Congo Square, New Orleans, 1848. "The Bamboula," an etching by Edward W. Kemble that accompanied George Washington Cable's description of dancing in Congo Square published in 1886, decades after the gatherings had been prohibited. The Historic New Orleans Collection, 1974.25.23.53. "The Love Song," an etching by E.W. 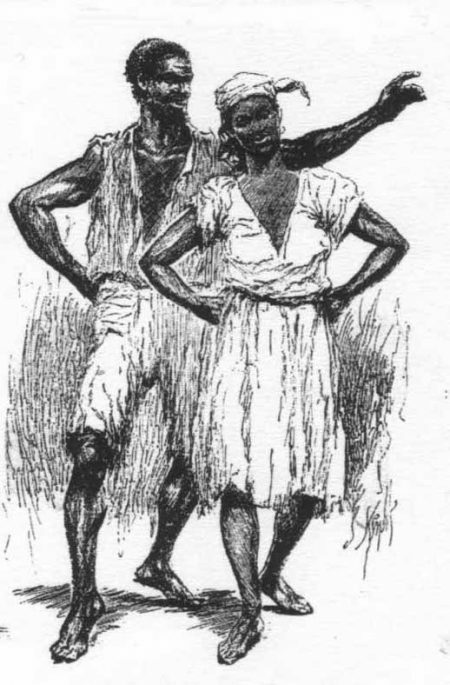 Kemble that accompanied George Washington Cable's description of dancing in Congo Square published in 1886, decades after the gatherings had been prohibited. At the site of Congo Square, February 1891. 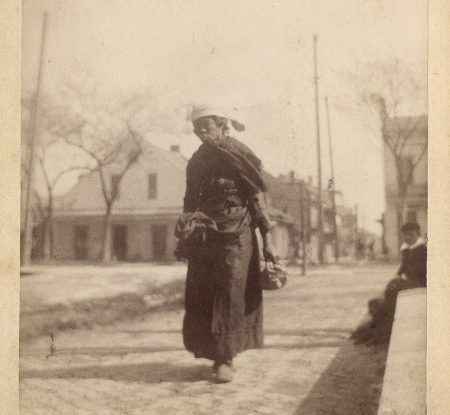 Portrait of an elderly woman wearing a white tignon or hat and dark garments, and carrying a small bag. 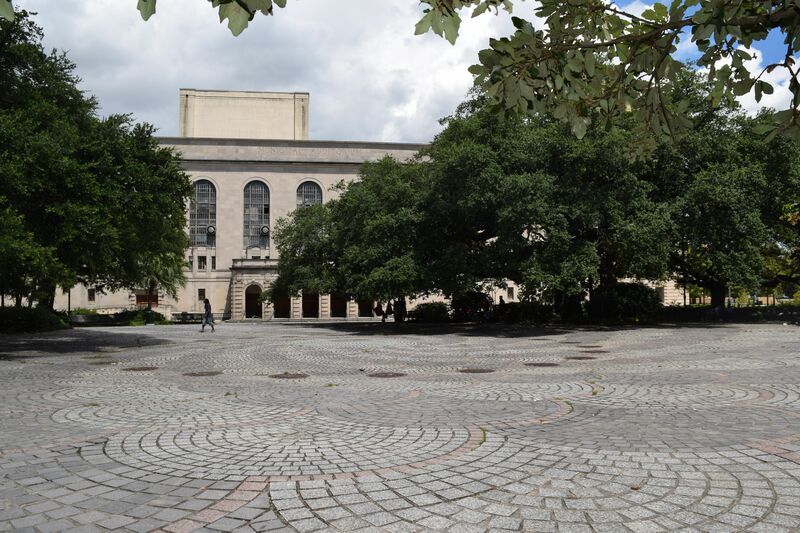 The Historic New Orleans Collection, 1977.79.19. Photo by Paul Hammersmith.